Sew Electric is a project book walking readers through four e-sewing (electronic sewing) projects, from a simple circuit Bookmark Book Light to programming a Fabric Piano. 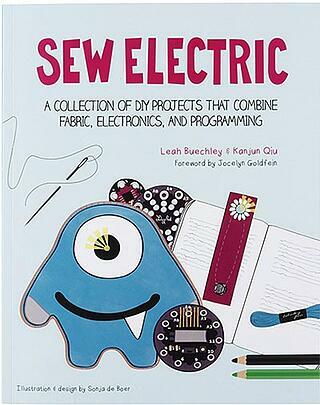 Co-written by Leah Buechley, creator of the LilyPad Sewable Electronics platform, this book is a great introduction to sewable and wearable electronics and programming combined with fabric arts and crafting. The projects in this book were extensively tested in classrooms and workshops prior to publication and are some of SparkFun's favorite projects to teach with. Make It Glow is a collection of fun electronics projects divided into four sections: Glowies and Throwies, Paper Circuits, Soft Circuitry and Wearables, and Twist, Solder, Tape & Hack. Each has four to seven projects that teach simple circuits (no programming) through crafting and making cards, toys, objects and accessories with step-by-step instructions. 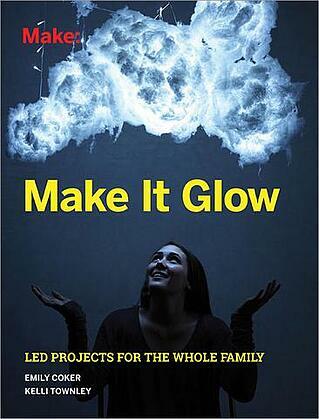 This is a great book to have available in a makerspace for ideas or to inspire classroom activities and projects. 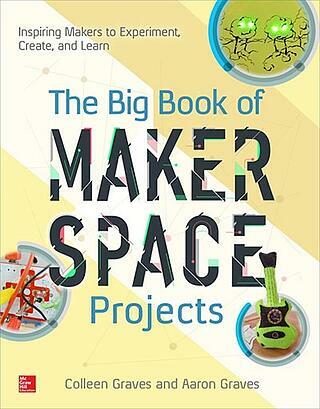 The Big Book of Maker Space Projects, written by teacher librarians Colleen and Aaron Graves, features 51 low-cost DIY projects with photo instructions, estimated "make time," cost and classroom tips. It covers some of the more popular maker electronics kits — including Chibitronics, LilyPad, littleBits, MaKey MaKey and Sphero — for a broad overview of technology tools frequently used in makerspaces. 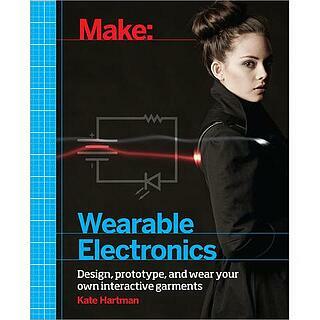 Chapters include Stating Small and Low Cost, Smart Phone Projects, Paper Circuits, Coding, Musical Instruments, Sewing Circuits, MaKey MaKey, Coding and Programming Objects, littleBits, 3D Printing, and combining these concepts and techniques in Mixing It All Together. 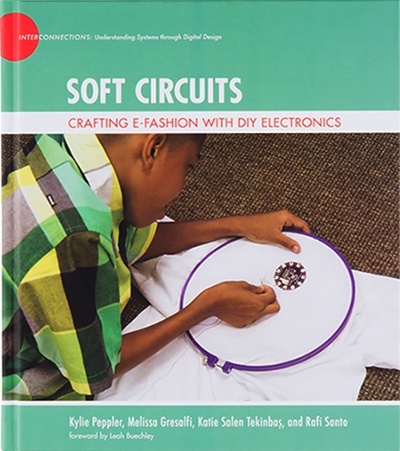 Part of the Interconnections: Understanding Systems Through Digital Design series, Soft Circuits is a comprehensive educator resource for introducing e-fashion (electronic fashion) with sewable circuits and LilyPad electronics through four design challenges (Introduction to the Electronic Circuit, E-Textile Cuffs, ElectriciTee, and Solar-Powered Backpack). In addition to step-by-step instructions and tips aimed at facilitators, each challenge is connected to Common Core State Standards (CCSS) and Next Generation Science Standards (NGSS). A wealth of vocabulary, reflection and assesment prompts and templates, and a section of Systems Thinking Concept Cards at the back of the book, make this a great resource for educators looking for guidance on adding e-textiles curriculum to their classroom. Looking to buy hardware to follow along with the book? Check out the wishlists curated by SparkFun. Another title in the Interconnections: Understanding Systems Through Digital Design series, Short Circuits leads educators through creating a sequence of four design challenges (Introduction to the Electronic Circuit, Making E-Puppets, Speaking Stories, and DIY Flashlights and Shadow Puppets) connected to Common Core State Standards (CCSS) and Next Generation Science Standards (NGSS). This book incorporates storytelling and narrative while focusing on designing and creating electronic puppets and sound-making storyboards. 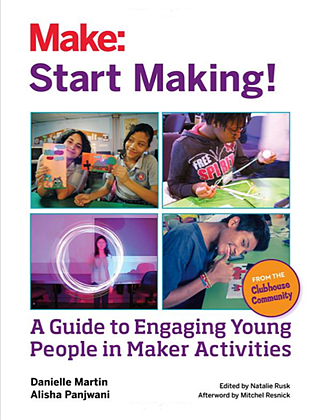 Start Making, developed by the Clubhouse Network, is a guide for facilitators of making in libraries, schools, after-school programs and other maker-oriented organizations. It covers the who, what and why of making and STEAM projects with chapters broken into guided sessions with a list of goals, materials, step-by-step instructions and facilitation tips. 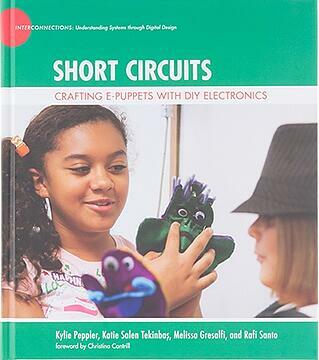 Check out the chapters on paper circuits and sewing circuits, as well as activities around light painting and using MaKey MaKey with Scratch to create music, art-making bots and 3D modeling. 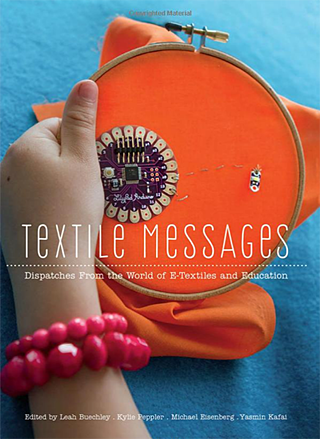 Textile Messages is a collection of papers focusing on e-textiles in education. 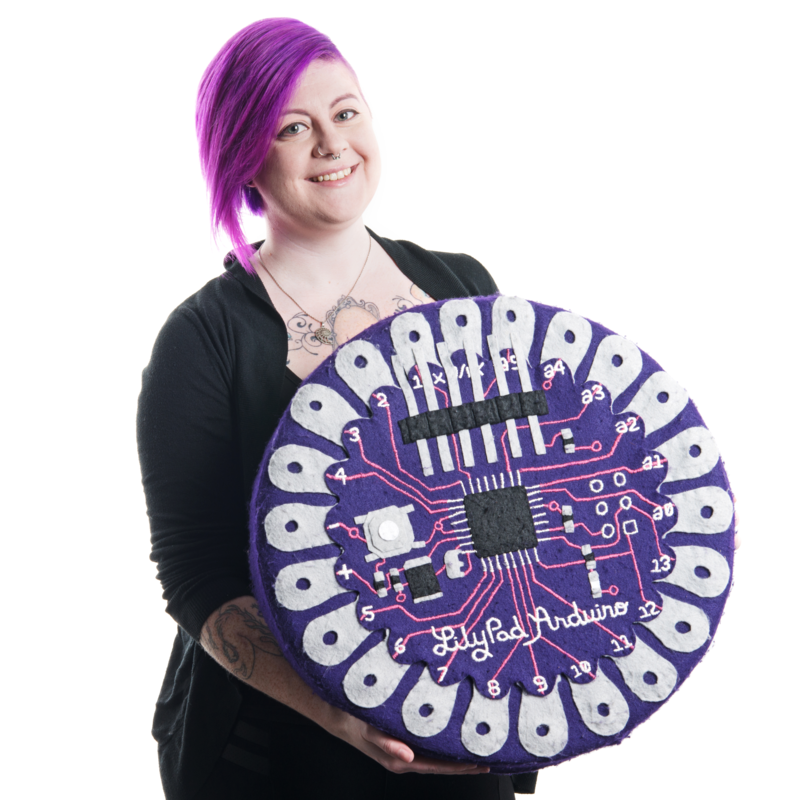 Topics include development of hardware for classroom use, as well as case studies of implementing curriculum and fieldwork around how communities interact with this new form of electronics prototyping. This is a great resource for educators looking for more background and research on e-textiles or a history of the technology in education. Wearable Electronics covers materials, tools and techniques used in creating fashion, accessories and soft projects. This comprehensive resource covers multiple wearable electronics product lines, the pros and cons of each, as well as quick instructions on how to use them and best practices. A must-have for any wearable electronics work space. 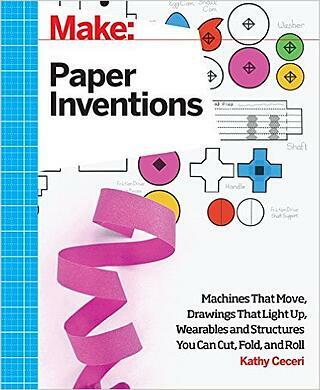 Paper Inventions is a fun resource for paper crafting, covering topics from the science of paper making to origami to paper circuits. This makes a great addition to any makerspace bookshelf, with instructions and explanations for five types of paper projects: Paper Science, Paper Tech, Paper Engineering, Paper Art, and Paper Math. What's your favorite book for learning about new ideas and fun projects to use in the classroom?